Electric vehicles are in the news a lot these days, but they've been around for 180 years or so. And a museum in Kingman is celebrating that lengthy history. 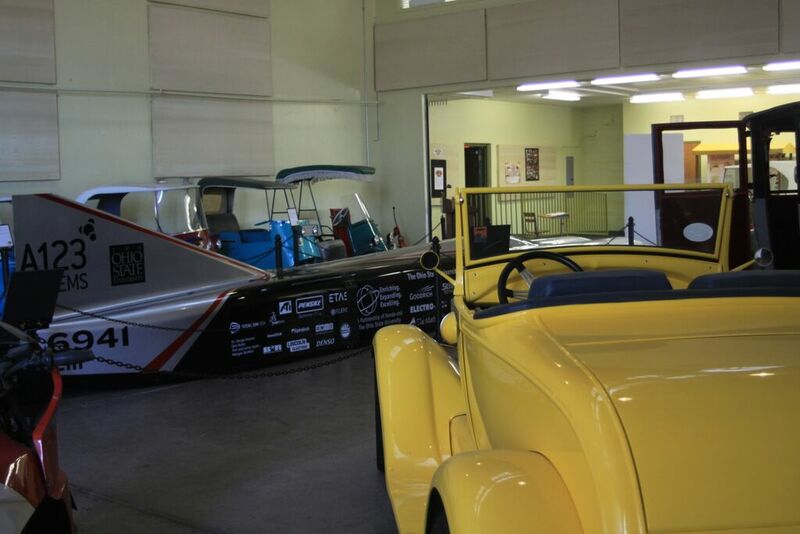 The Route 66 Electric Vehicle Museum, located along Historic Route 66 in the Powerhouse building, is the brainchild of Roderick Wilde, executive director of the Historic Electric Vehicle Foundation. He says he dreamed for many years of building a museum around his passion. "In the autumn of 2012, I started gathering together a group of like-minded and very talented individuals to form a nonprofit foundation to raise the funds necessary to build the world’s first international electric vehicle museum and to collect the vehicles to fill it," he says. "I figured at the time it would take at least thee years to even break ground or find a suitable location." A big break came in 2014, when a Kingman writer informed the group of a Route 66 festival that was being held in Kingman that August. Wilde's group was invited to bring electric vehicles to the event, and during the festival, the cars were housed in the Powerhouse building. "One thing led to another," Wilde says, and Kingman officials eventually invited the group to stay at the Powerhouse and run the museum there. In its first year of operation, Wilde says, the museum saw visitors from all 50 states and from 70 countries. It now features a wide range of electric vehicles, with more either being restored or waiting in storage until the 3,600-square-foot museum can be expanded. As Wilde notes, though Tesla and other electric car manufacturers are in the news today, electric cars have been around since the 1830s; in fact, they predate gasoline-powered automobiles by about 30 years. Until the 20th century, Wilde says, electric cars held all the land speed records, and the first car to break 60 mph was electric. And though gas-powered cars dominated the 1900s, Wilde believes electric cars are poised for a big future. "There is no putting the horse back in the barn," he says. "It is running fast and free into the future. Due to technology, the future happens much quicker than it used to. Electric vehicles are definitely part of our past, our present, and a major part of our future." The Route 66 Electric Vehicle Museum is located at 120 W. Andy Devine Avenue in Kingman. Entry is included with admission to the Arizona Route 66 Museum ($4 for adults, $3 for seniors, free for children). For more information, visit the museum's website or follow it on Facebook.